Just the other day, I was out with my draft horses – Dixie and Daisy – cultivating garlic on our Grand Island farm. The sun was in and out, but dry enough that the horses easily stayed on top of the field as my 1920s-era cultivator churned the soil and weeds under my feet. 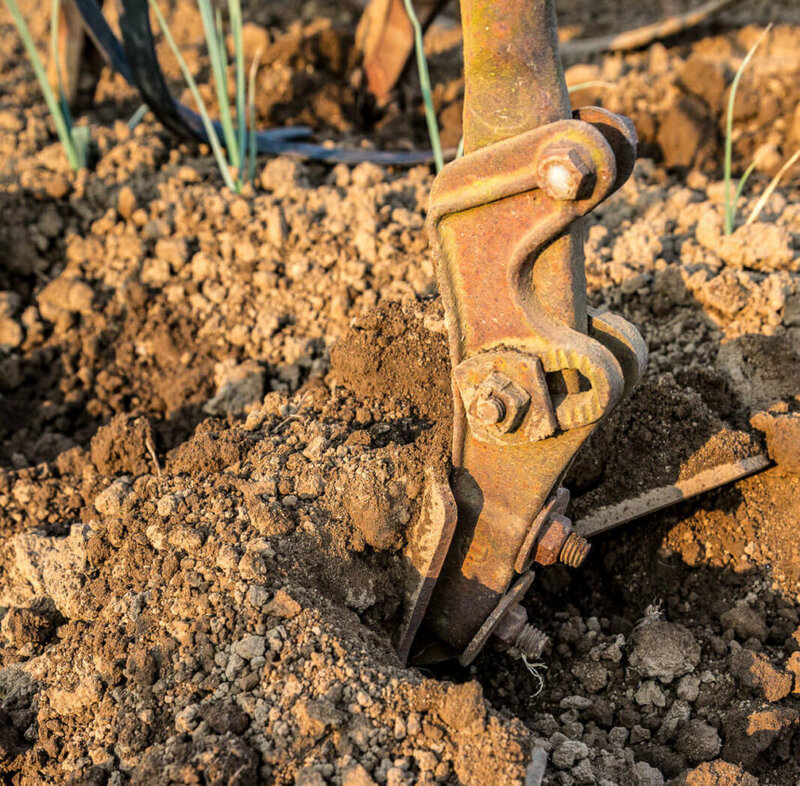 We went back and forth, back and forth, the simple mechanics of the cultivator keeping time, slowly weaving a thread of broken earth into the land. That simple, uneventful pleasure is definitely not something I’d have been able to enjoy this time last year. As you may remember with the same shiver I do, last winter featured snow that wouldn’t go away, rain (and mud) well into the spring, and a lot of brrrrrrrrrrr! In fact, we couldn’t even get onto the fields until April last year, setting our planting and harvesting schedules back. Or more accurately, we couldn’t start working the fields responsibly: laying a heavy tractor on muddy fields compacts the soil, squeezing out the oxygen that micro-organisms need to feed the plant and that plants need for a healthy immune system. You can’t have healthy produce without healthy soil, so despite the delays it would cause, we knew we’d want to wait out the mud and do things right. I’m glad we did, but it sure made us long for typical Oregon winters! Like this year, which by comparison, has been mild and relatively dry. Yes, we had a little snow a last month, and for sure, the low snow pack may come back to haunt Oregon agriculture later, but for now, it makes harvesting easier. …And we’re already out there planting for summer: Sugar snap peas, fava beans, delicate spring greens like spinach and lettuce. The greenhouse is full of baby plants and the drier weather means we’ll be planting our red tropea onions, spring carrots and early potatoes ahead of schedule! We’re definitely glad to have less mud, and happier plants than we did last year. Meanwhile, I’ve finished the garlic. The sun pops out and warms my smiling face – and I aim the horses and the cultivator down the edge of the next field. What will this beautiful corner of the planet offer up next? This could be the peak of the tomato season!! Keep you fingers crossed for some sun so we can keep picking for a few more weeks. This week on the farm we’re just trying to keep up with all the harvesting! Summer crops are still going strong but we also need to bring in the storage crops like potatoes, onions, dry beans and popcorn. In fields that we have finished harvesting we plan to start seeding cover crops soon. Basil: You can chose from several varieties this week. Thai basil has green leaves with purple stems & flowers – it’s minty fragrance adds a distinctive flavor to many southeast asian recipes. Genovese basil is all green and the classic variety of traditional italian pesto. Purple basil can be used like the Genovese but I also sometimes showcase the intense dark purple color by adding some leaves to summer salads. Corn: Some of our sweet corn has crossed with the popcorn we are growing nearby. We have tried to pick only the good ears, but if you see a few pink and purple kernals or if it tastes a bit starchy you’ll know what happened. Sorry about that – next year we’ll be planting them much further apart! Eggplant: The long skinny asian varieties are tasty and more productive for us than the traditional italian vareities. Most of what you see in the share will be the dark purple Orient Express and the pink Orient Charm. These varieties can be used exactly as you would use the regular eggplant. I’ve posted one of my favorite recipes for a simple spanish eggplant salad here. Fennel: The mild anise flavored bulb is very versatile – it can be shaved into salads and is also great in gratins. More ideas here. Mizuna: This is one of my favorite asian greens as it is very mild and can be used in salads or sauteed. Peppers, Anaheim: These peppers have just a hint of heat and they really shine in traditional southwest and mexican cooking. I made some great corn & roasted chile salsa this week. This is a good recipe for stuffed peppers and once you have the basics you can get creative and come up with lots of variations on this theme. I often use Anaheim’s to substitute for regular green bell peppers in recipes too. Peppers, Jalapeno: Time for salsa! Summer Squash: The much maligned courgette will produce obscenely large fruit if you turn your back on it this time of year. We harvest regularly so you always have a wide variety of shapes and sizes to choose from. Take larger ones if you want to make zucchini bread. The smaller fruit can be steamed whole. Tomatoes, Stupice: These small early tomatoes continue to be tasty and productive throughout the season. Tomatoes, Heirlooms: This week may be the absolute peak of the tomato season! We have Brandywine, Moskovitch, Azoychka, German Striped, Black, Zapotec Pleated and more varieties to chose from. Some are beautiful, all are incredibly flavorful! Coming soon… Sweet Gypsy Peppers and Tomatillos!! The 4th of July is coming up this weekend and just wanted to let you know that we’re not going to do our usual Farm Work Party. Your next opportunities to volunteer on the farm will be Friday July 22nd & Saturday August 6th. Hope you can join us then! I made baked polenta for the crew lunch this week with lots of sauteed onions, garlic and greens. We had it with a baby lettuce salad and baguettes with radish butter. Arugula: This is so good right now! One of my favorite things at Nostrana’s is this super simple salad they make with flank steak & arugula. Cilantro: Everyone thinks it’s just for tomato salsa, but in fact cilantro is also used all over southeast asia. I went back to Pok Pok a few weeks ago and it was – as always – extraordinary! Their recipe for Spicy Citrus Dipping Sauce makes inspired use of cilantro. Joi Choy: Slice the thick stems and saute them for a minute before adding the rest of the greens. An essential ingredient in stir fry and soba noodle salad, but more versatile than that. I used them with baked polenta today and they would also be great in Shareholder Dave Culpepper’s Green Soup. Green Garlic: We planted these small garlic cloves last fall especially for spring harvest. The lighter green bottom of the stalk is the most tender part. The upper stem has good flavor but is not as tender so plant to cook it longer or use it for soup stock. The whole plant has a nice mild garlic flavor. Garlic Scapes: The flowering stalk of the garlic plant is tender when it first emerges and begins to coil. Later the stalks straighten and bloom with beautiful purple or white flowers. When eaten raw the flavor is quite sharp, but after cooking it is much milder. There is a bit of rust on the ends so you can snip that part off. Kohlrabi: They look like an alien space ship! But they are in fact a very mild easy to use cousin to broccoli. Peel the outer layer off and the sweet crunch center can be eaten raw, steamed or sauteed. Not surprisingly, it tastes similar to the broccoli stem. The greens are great too – use them like you would kale or collards. Lettuce Mix: The salad this week is a beautiful mix of baby lettuces. Peas: Hip Hip Hooray for peas! These are sugar snap peas which means you can eat the sweet crunchy pods too. Radish: These cute little red radish bunches are sill going strong. The round red variety is Cheriette and the elongated red and white variety is French Breakfast. Tops are good to eat too – saute them with choy or turnip greens. I mentioned it up above, but I can’t recommend enough this recipe for radish butter. The crunchy zing of the radish adds a freshness & beautiful red color to the butter. Spread on good bread with a pinch of salt – yum! Spring Onions: These onion sets were planted in February when we had a short but lovely bit of dry weather. The green tops and any flower stems poking out are edible too. We had a great group of folks out to the farm yesterday and we really appreciate all their help! The volunteers put in a total of 31 hours and had a great time making flash tape flags and planting. 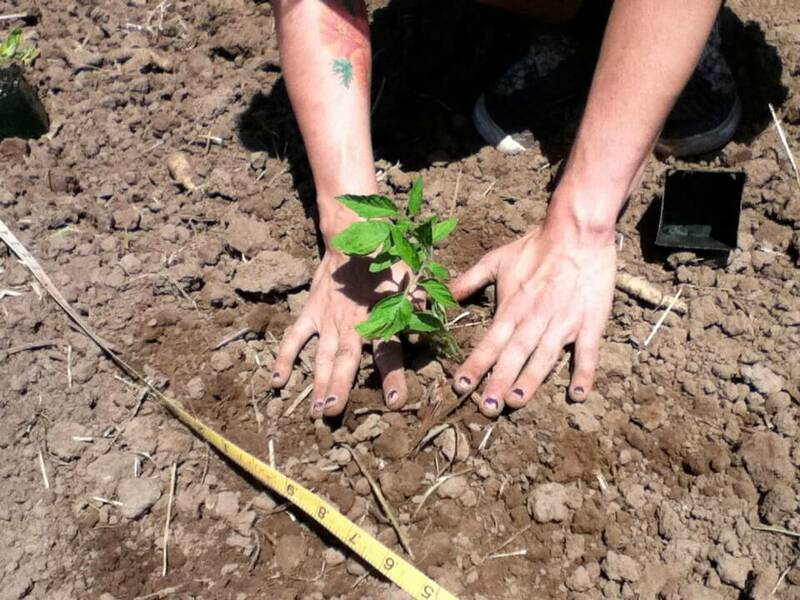 If you want to come help us out at the farm check here for upcoming volunteer opportunities. Comments Off on Thanks Farm Volunteers! Please come & comment in person if you can! Wednesday, June 15, 2011 at 6:00 p.m. in the Willamette Room at the West End Building (4101 Kruse Way), the Parks & Recreation Advisory Board will meet to discuss the Luscher Area Final Draft Site Plan. MIG, Inc. who is developing the Luscher Area Master Plan will present history/background information on the site, present the site plan and provide insight into the design of the plan. Citizens are encouraged to attend and provide comments. Starting June 20, a two-week, online public comment period for the Luscher Area Final Draft Site Plan will be available at www.luscherplan.org. To view the agenda for the upcoming meeting www.ci.oswego.or.us\parksrec\prab.htm. Bike Tour on Grand Island! Join us this Sunday, Sept 19th at 1pm for a Bike Tour around Grand Island. You can see our new farm, meet our great neighbors, have a lovely bike ride and even swim in the river if the sun is shining. All the info is here. Hope you can come! Comments Off on Bike Tour on Grand Island!